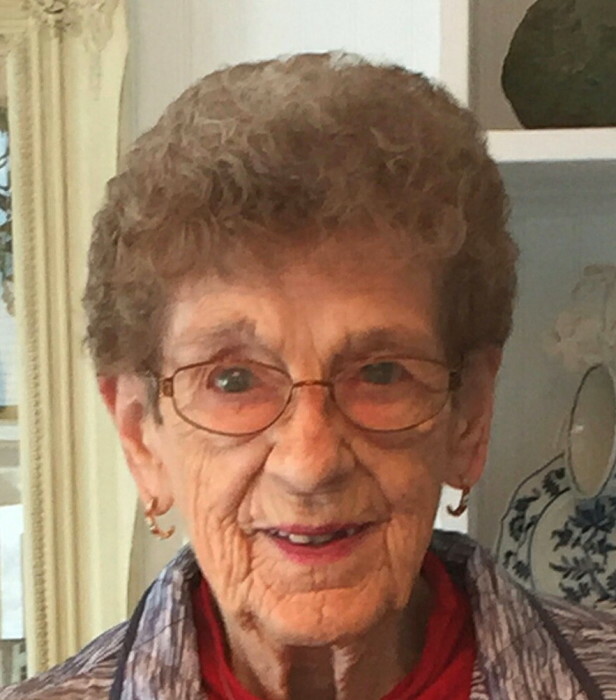 Obituary for Grace E. (Kramer) Baker | Kroeze-Wolffis Funeral Home, Inc.
Mrs. Grace E. Baker, age 87 of Fremont, went to be with her Lord & Savior on Thursday evening, September 6, 2018. She was born on January 16, 1931 in the Netherlands to Gerrit & Arendina "Dena" (Gast) Kramer, and came to the United States when she was 16 years old. Grace was a member of Second Christian Reformed Church in Fremont, she bowled for 60 years and was in the 600 Club, she was a die-hard Detroit Tigers Fan, and she camped at Fremont Lake Campground for 52 years where she had been the manager for 24 years. She is survived by her husband of 62 years, Al Baker; by her daughter, Vicki (Brad) Gilliland of Fremont; granddaughter: Christina (Jeff Uildriks) McNitt & great grandchildren Emma & Addison McNitt, Lou, Charlie, & Vinny Uildriks; grandsons: John (Ashley) Baker, Jr. & great grandchildren Marcus, Bryson, Brayley, & Easton Baker; Josh Baker & great grandchildren Jericho & Justice Baker; Jared Baker & great granddaughter Miya Grace Baker. Grace was preceded in death by her son, John R. Baker; by her brother & his wife Art & Liz Kramer, and by her brother John Kramer. A Memorial Service will be held at 11:00 AM on Saturday, September 22, 2018 at Second Christian Reformed Church in Fremont with Pastor Doug MacLeod officiating. There will be a time of visiting with the family at the church from 10-11 AM on Saturday. Interment will be at Maple Grove Cemetery in Fremont. Suggested Memorial: Second Christian Reformed Church. You can sign the online guest book at www.kroeze-wolffis.com. Arrangements are by Kroeze-Wolffis Funeral Home, Inc. of Fremont.